Entertaining the kids during their long school breaks can be tough for some busy parents. Watching television programs may not be ideal because you can’t control the language and content that come out of the shows. That’s where YouTube comes in. From music to movie trailers to vlogs, YouTube has it all. For parents who want the best educational yet interesting channels for their children, they now have a choice of shows for the purpose of learning. So if Spongebob and the Powderpuff Girls have become too mind-numbing for adults and children alike, here are some YouTube channels that you can rely on to help the kids to learn through videos. 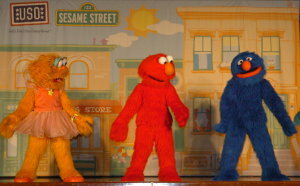 The children’s show, Sesame Street, has greatly influenced generations and generations of kids around the world with their learning-with-fun lessons. 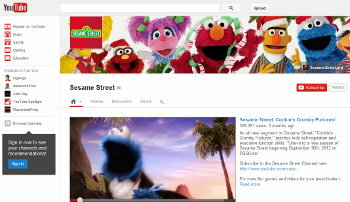 Since 2006, Sesame Workshop has graced cyberspace through their own YouTube channel, which features various classic clips and some new ones that are made exclusively for YouTube. Sesame Street uploads around 300 videos every year so you can be sure to find some new content to for your easily bored kids. The producers also make sure to involve mainstream artists into their skits. Check out Cookie Monster’s Share It Maybe, a spoof of Carly Rae Jepsen’s song Call Me Maybe,. In February 2013, the show has surpassed one billion views, making it the first children’s program to do so. This show by PBS is a great language-learning tool for young children ages 3 to 5. Words come alive with the help of the lovable, legible WordFriends, animals whose bodies are made up of the letters that spell what they are. There’s shy Sheep, brainy Frog, and student Duck who often needs the help of Frog to get out of trouble. WordWorld helps early readers connect letters, sounds, words, and meanings that they will need as they start reading. “Great minds start little.” Baby Einstein, a division of Walt Disney, specializes in interactive activities for preschoolers aged 1 to 6 years old. Foundation subjects like language, science, math, music, and art are the main focus in its YouTube videos. Although they released their final video in 2009 and their videos are no longer on sale, the Baby Einstein franchise is still popular in the YouTube community. Simple homemade videos made for simple arts and crafts activities for kids—that’s Simple Kids Crafts that young female viewers will love. They have how-to videos on how to make “crystal” lamps for Barbie dolls and how to make a Monster High-inspired bed for Cleo de Nile. The channel requires adult supervision when kids watch their videos because of the use of sharp tools like scissors when doing the artwork. Nursery rhymes are destined to be passed on from one generation to another, and that’s the job of Hoopla Kidz. Their videos contain classic, original nursery rhymes presented in colorful animation to keep your kids’ attention. Let your children’s imagination run away with them to the world of Noah’s Ark or Aesop’s fables. They can have fun with the animals at Old MacDonald’s farm, and learn a thing or two with Mango the Monkey and Mary’s little lamb. Nursery rhymes and their catchy tunes will captivate young audiences, as well as help develop their language learning and spatial reasoning. Mike Hall is a Child Psychology graduate who believes in the use of blended learning for an active and practical way of educating young children. He writes for LeapDoctor.com, the leading source of jobs in pediatrics. Educational Youtube Channels For Toddlers was posted in Learning by Guest Author.